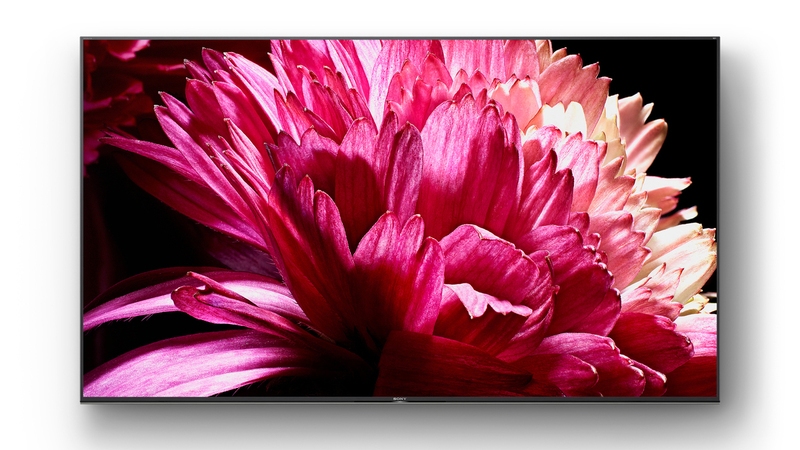 Sony's latest TV seeks to bring the audio and image up to the same impeccable standard. Some TVs have great pictures. Some, great audio. But only the Sony XG95 matches its extraordinary picture quality with Sony’s incredible Sound-from-Picture Reality for an incredible audio-visual experience. Let’s start with that stunning display. Available in 55-inch, 65-inch, 75-inch and a whopping 85 inches, the 4K Full Array HDR LED panel features local dimming with &apos;TRILUMINOS&apos; technology to give you a much wider dynamic range than conventional LED TVs. Sony calls it X-tended Dynamic Range PRO, and it gives you up to six times the contrast of conventional sets. That means darker scenes are darker and bright scenes are brighter, and it’s particularly impressive on night shots where dazzling lights pierce the deepest blacks. It can work its magic on HD sources too, upscaling closer to 4K quality for remarkable clarity. 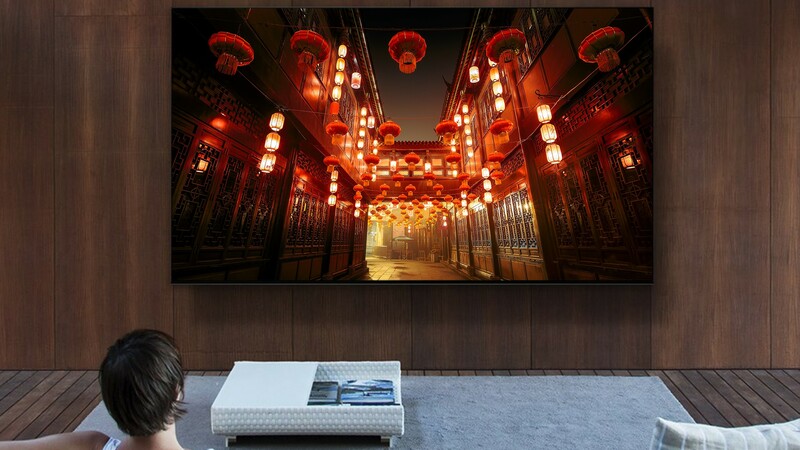 You can enjoy the XG95’s better, brighter, more beautiful color no matter where you sit: the XG95 has Sony’s impressive X-Wide Angle technology for wonderfully wide viewing angles. Everything you see is brought to you by the X1 Ultimate processor. The X1 is the most powerful processor that Sony has ever made, with object-based HDR remastering, Super Bit Mapping HDR, Dynamic Contrast Enhancer and Precision Color Mapping. What makes it so special is that it can detect hundreds of individual on-screen objects and enhance them intelligently, adjusting brightness, detail and color to deliver an incredibly bright and realistic picture. The X1 Ultimate also brings X-Motion Clarity, which keeps the action smooth and clear no matter how fast and furious it becomes. It intelligently analyses the on-screen action, minimizing blur and delivering true color with no loss of brightness, while its dual database processing reduces on-screen noise and dynamically improves pixels in real time. The XG95 doesn’t just deliver incredible pictures. It sounds incredible too. Its Acoustic Multi-Audio system does something incredibly clever: it uses two sound-positioning tweeters in the rear of the TV to make the sound appear as if it’s coming from the very centre of the picture. Because those tweeters are paired with powerful bass reflex speakers there’s plenty of low-end for action scenes and music, all of it perfectly aligned with the on-screen action. If you’re a movie buff, you’ll love the way the XG95 sounds. The amazing Dolby Vision visuals are teamed with Dolby Atmos to fill any room with immersive surround sound. 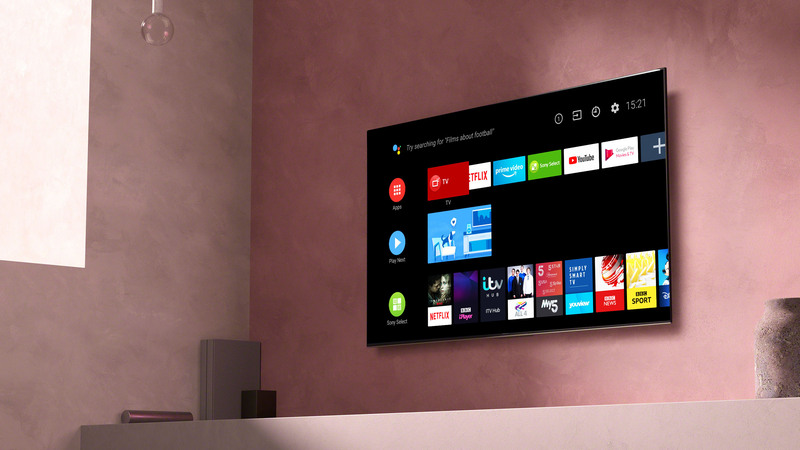 The Sony XG95 is a truly smart TV, and that starts with the smart remote. You can connect set-top boxes and other devices via HDMI and then connect them all with a single smart commander. Its slim, rounded design, enhanced button layout and integrated microphone for voice control means it’s really easy for all the family to use. Voice control isn’t the only smart feature you’ll find in the XG95. Google Assistant is built right in to help you find new entertainment, check schedules and even control your smart home, and you can also control your XG95 with Alexa or stream from Android or iOS devices. Meanwhile Netflix Calibrated Mode gives you the same picture quality you’d find on a studio evaluation master, and a dedicated Netflix button takes you straight to your favorite shows. That’s not all. There’s built-in YouView for catch-up shows from the BBC, ITV, All4 and Demand 5, one-touch and timer recording of any digital broadcast to USB storage and effortless Bluetooth connectivity for wireless headphones. And it’s all wrapped up in a clean, minimalist design that keeps you focused on what’s important: the picture. Want to find out more about the Sony XG95 and its incredible combination of sound and vision? All the information, right here!